Stop by 6Smith on your way to or from the 2018 Wayzata Chilly Open events February 9-10. 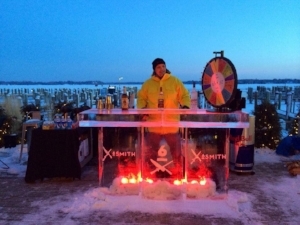 Our sparkling outdoor ice bar will be open Friday evening and Saturday. And don't forget to make a reservation for our Chilly Open Brunch Buffet on Saturday before you tee off! Limited Tickets Available for $10. Click Here to Buy Online.